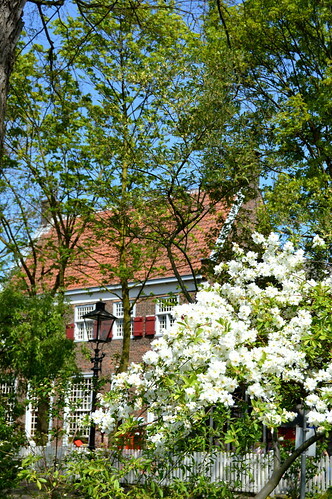 I have written many posts about Holland so far, so I want to share with you my 5 favourite travelposts about our neighbouring country. Here we go! 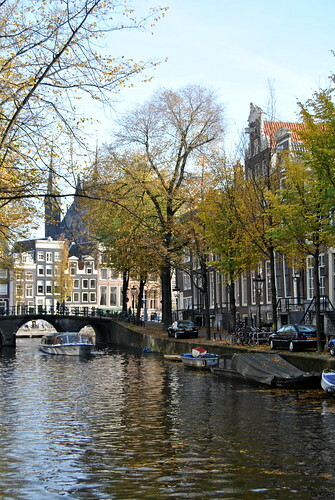 And why not start with beautiful Amsterdam, the country’s capital?! The link takes you to a travelpost (part I of II) about a daytrip we did in October 2015. ‘We’ being my husband and I with our two daughters and my sister with her husband and three kids. Amsterdam really is a cosy town. 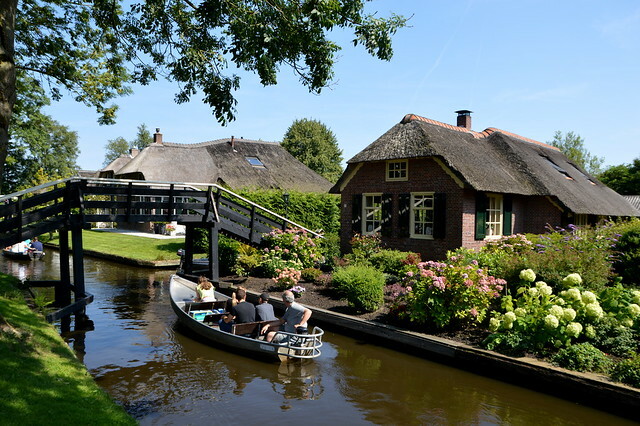 OK, it’s big, but since all the streets are quite narrow and because of all the canals and bridges, it seems like you’re in a much smaller town. That day we walked for miles and we did see a LOT! 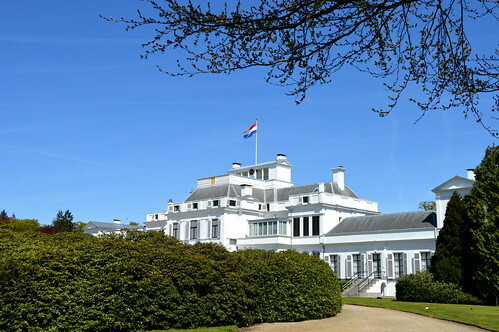 The day we visited Palace Soestdijk near Amersfoort, was such a beautiful day… It was the start of a fabulous weekendbreak in Holland. 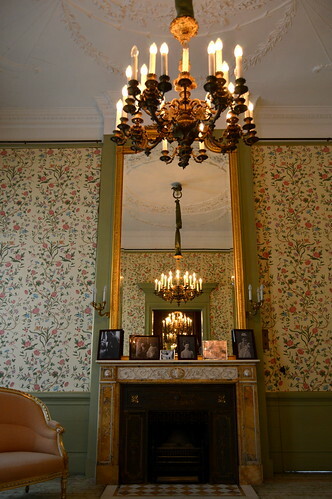 The Palace was in royal hands ever since King Willem II of Holland, and his Russian wife, transformed this hunting lodge into a summer palace. After his death, the royal family kept on using it as a summer retreat. 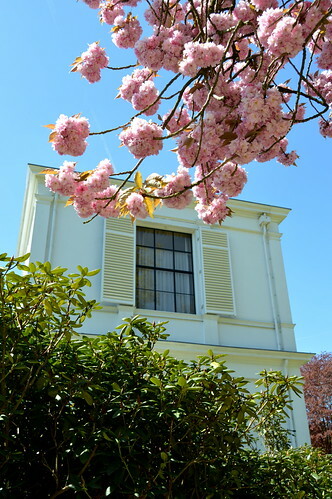 In the 1930ies, it was actually lived in by crown princess Juliana and her husband prince Bernhard. During the second world war, the royal family moved to England and the palace was used by the German military. After liberation, the royal family returned. 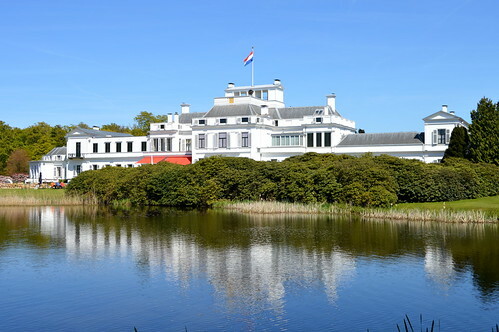 Juliana and Bernhard kept on living in Soestdijk until their deaths in 2004, but ever since 1971, the palace is state property. Want to see more stunning pics? Then click here! Utrecht is my favourite city in Holland. 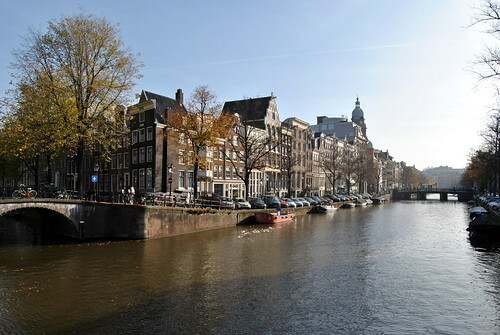 It’s lively, bustling, not too big, very charming and I just love the Oude Gracht with its many restaurants and cafés. 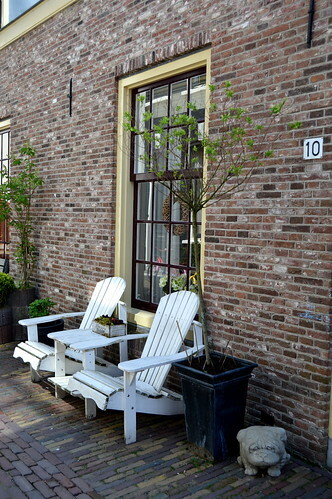 I have written several blogposts about Utrecht already, but the one I share here is one about a very relaxing walk we did, a walk through a couple of the many courtyards that can be found throughout the city. If you want to do this walk, then buy a leaflet at the tourist office (‘courtyards and chambers’ this walk is called). The leaflet has a little map and it tells you a bit about the history of the courtyards and buildings. It also tells you how and where to enter some of these courtyards as some of them you’d never find otherwise as they are so secluded. After this peaceful walk it was back to the hustle and bustle of the city centre. If you want to see more pics and want to read more about this walk, then click here! 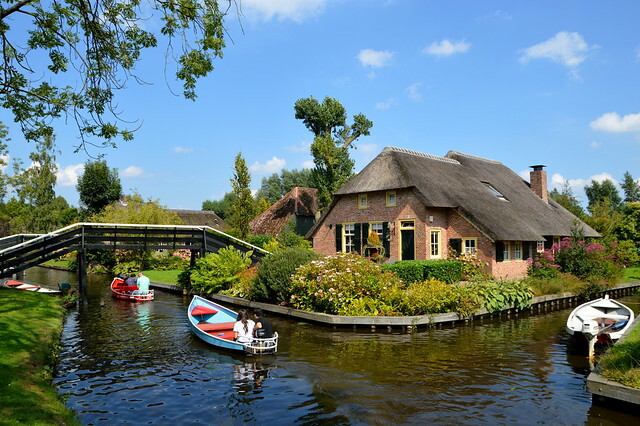 As we were only stopping by for a couple of hours, we didn’t have time to visit the beautiful nature park in which Giethoorn can be found, nor the old city centre of the village. We just stayed near the canal which is surrounded by these fabulous villas. 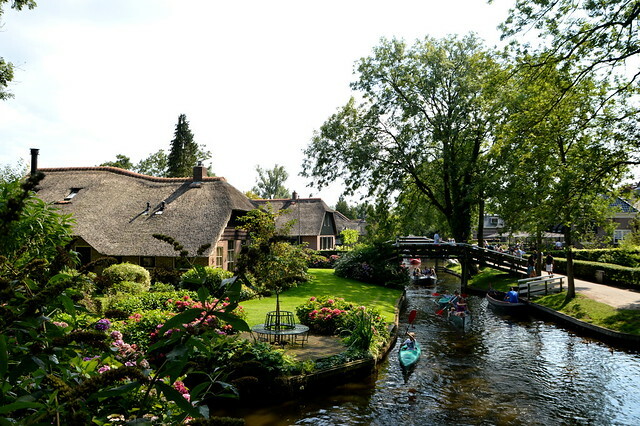 And as you can see in these pictures, Giethoorn is just too good to be true. Concerning the level of picturesque-ness (just made up that word!) 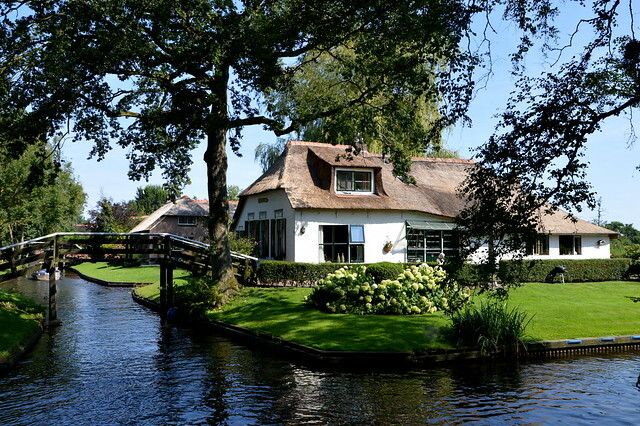 Giethoorn definitely scores an A+ but as with all things wonderful, it has become a victim of it’s own succes I’m afraid. It really was very crowded and extremely touristy. 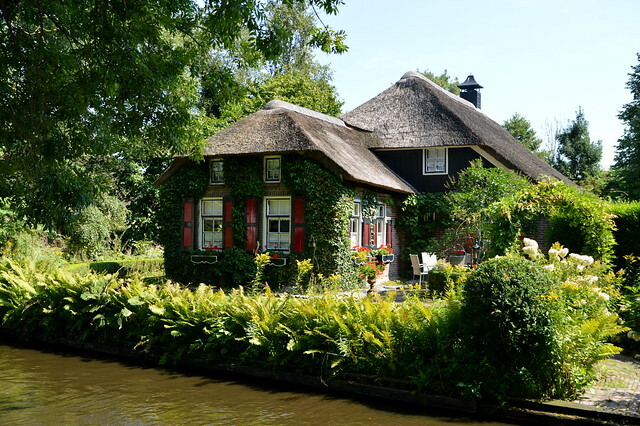 We hardly heard Dutch… it was all English, German, French, Italian, Russian, Japanese,… And no matter how beautiful all the houses were, we just wouldn’t want to live here!! Many more pics can be found here. 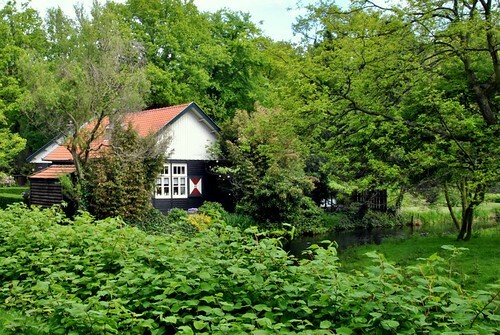 A final post I want to share about Holland, is one about Clingendael Park, a park which can be found near Den Haag. The park in itself is very large and beautiful and it has several walking routes. But the reason we visited this park was the Japanese garden. This part of the estate is accessible for only a couple of weeks a year so you better make sure to check the opening times and dates on the website. 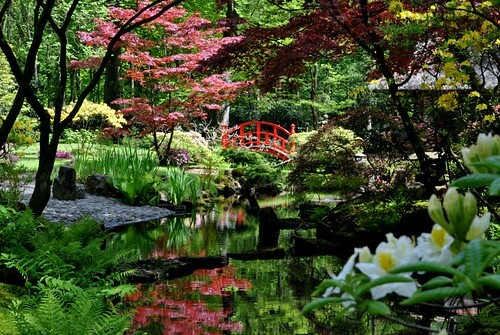 For 2018 the Japanese garden can be visited from April 28th until June 10th and from October 13th until October 28rd. 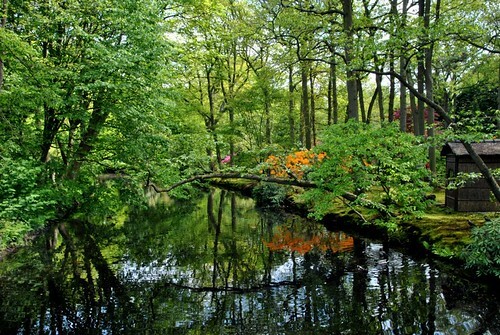 The garden was created in the beginning of the 20th century by the former owner of the country estate of Clingendael, Marguérite M. Baroness van Brienen. She went to Japan several times and brought back lots of decoration for the garden. The original design with the serene pond, meandering brook and the winding pathways has remained intact all these years. 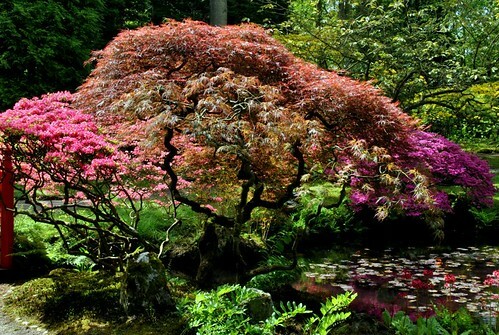 We were absolutely astounded by the beauty of the Japanese garden and a visit is definitely worth your while! Lots of pics can be seen in the travelpost, which you can find here! 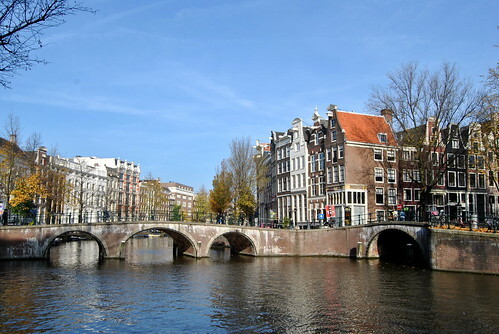 This entry was posted in Holland, Travel, Travel top tips and tagged amsterdam, clingendael park, den haag, giethoorn, holland, palace soestdijk, paleis soestdijk, Utrecht. 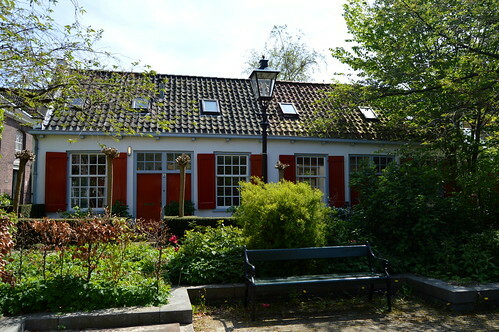 It were in fact several trips, but Holland is definitely worth exploring! Thanks! Amsterdam is just so fabulous isn’t it?! Loving these. 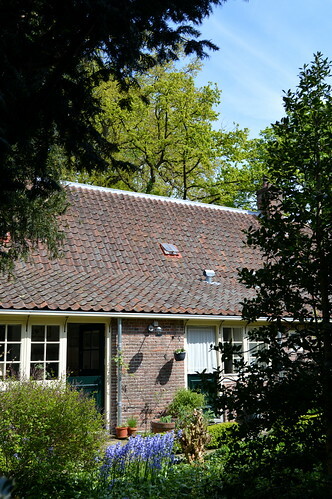 Holland is such a charming country! 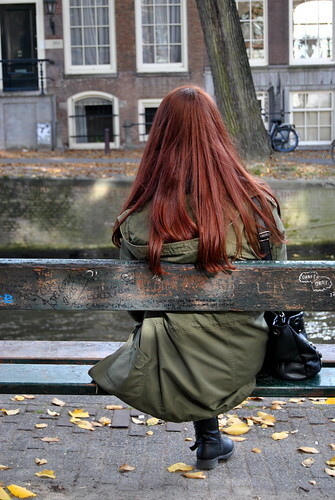 I saw a lot of Amsterdam when I visited there but I am very keen to go back and explore more.